Gorgeous florals finished with 22-carat gold plating. 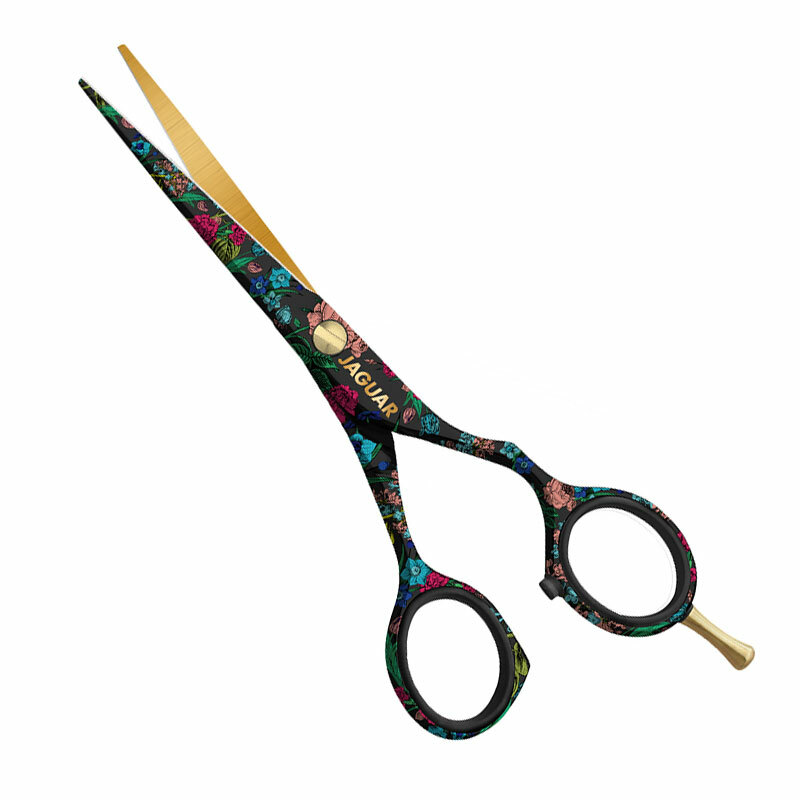 For 2018, Jaguar have designed a stunning collection of floral scissors for their bestselling JaguART range. Each one is finished with real, 22-carat gold plating for a truly exceptional look. Golden Blossom—deep blue with gold flowers on the blades. Moonlight Garden—black with vibrantly coloured flowers climbing up the handles and blades. Mystic Rose—black with white roses adorning handles and blades. Sweet Daisy—delicate pink with yellow and white daises on handles and blades. 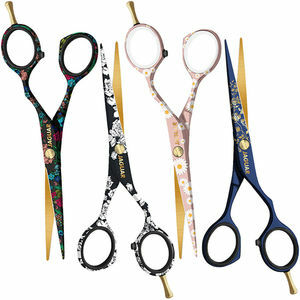 Of course, being Jaguar scissors, the JaguART designs are not just about the look, but also feature all the high performance features of the Jaguar White Line range. They're ergonomically designed with an offset handle design, that ensures relaxed working and all-day comfort. Both cutting edges are also hollow ground and honed, making them a great pair of scissors for slice cutting. £116.34 (inc. VAT) Why no VAT? We're a trade wholesaler and quote our prices without VAT to help our VAT-registered customers understand the true cost of a purchase.